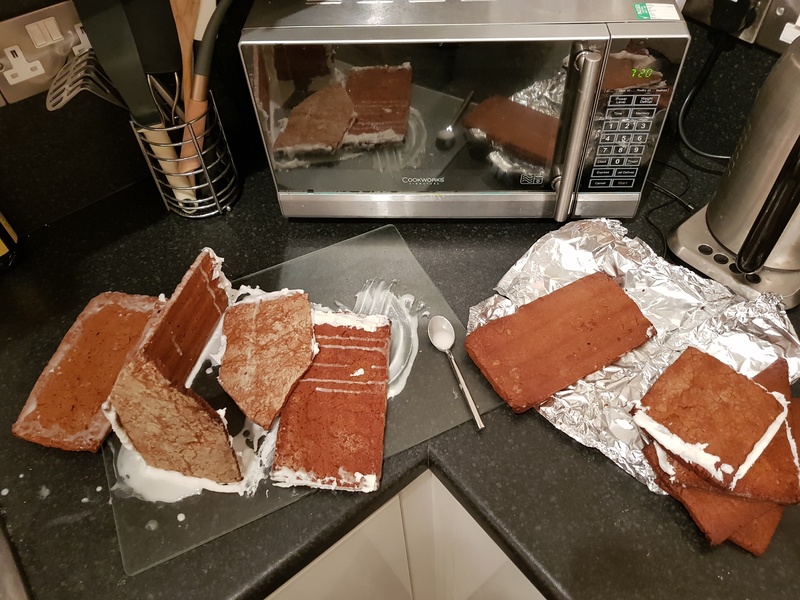 A couple weeks ago I decided to bake a haunted gingerbread house for our work Halloween party, and let’s just say, it was challenging. As it turns out, baking a gingerbread house is a lot like designing a website. At Storm, UX is at the core of our work – baked into the process, if you will. In my kitchen however, it was sadly lacking. 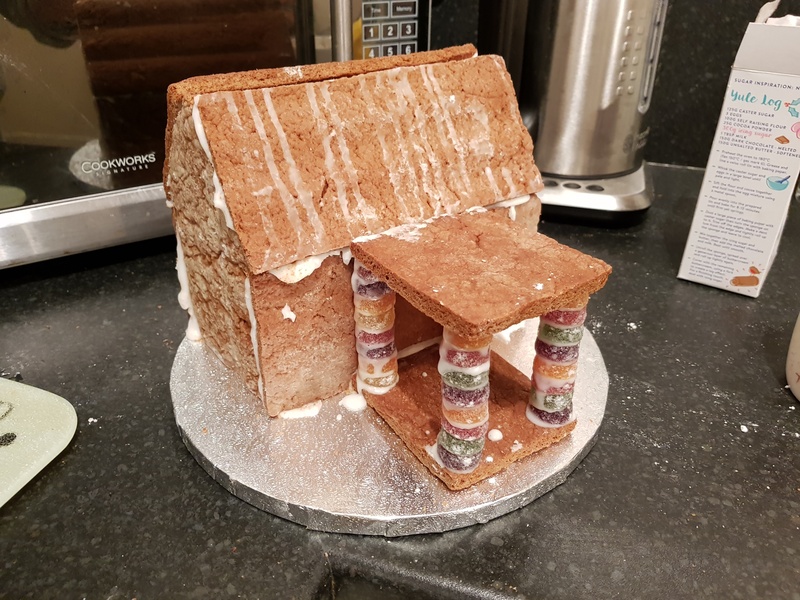 Here is the turbulent tale of the 7 UX lessons I learned from baking my haunted gingerbread house. All good UX starts with research. There are questions to be answered like, who are the users? What do they need? What issues are they experiencing? What are other people in the market doing? What existing data is there? It’s all about gathering useful data and insight from people to help shape the rest of the process. I did some research. I scoured the web for pictures of haunted gingerbread houses to see what other people were doing (really amazing things if you only look at pages 1-3 of Google images), I looked at a recipe or two, and I decided that was enough. What I didn’t do was engage or listen to users. There is a wealth of comments on recipes and forum threads with people sharing their experiences, what their pain points were, how they overcame them. I missed out on lots of really valuable insight. Lesson number one: listen to your users to understand their issues. Looking at my research, I identified two audiences to explore their needs: the baker and my colleagues. The needs of my colleagues were quite simple. It needed to be edible, taste good, and look good. I spoke to people at work to find out if these needs were real and if this is something they wanted, essentially guerrilla testing to validate my research. The reaction was positive, so into the product backlog the needs went. The needs of the baker also seemed simple – I needed the right equipment and ingredients required to bake and decorate the gingerbread house. But wait! While getting carried away with decorations and how it would look I made an assumption that I had all the equipment I needed, and I didn’t validate it with the user (myself). There are two lessons here. Lesson number two: aesthetics alone won’t make for a good overall experience. Lesson number three: validate your assumptions. Next up, I mapped the user journey for the baker, this was my recipe. Everything seemed simple enough: I needed to make the dough, cut out the pieces, bake them, assemble it and decorate it. All good journey maps should identify the user needs and issues at each stage, so that the solution is built with these in mind. My journey map was not very comprehensive; it had my user needs that weren’t validated, and didn’t have any of the issues because my initial research wasn’t comprehensive enough. Lesson number four: it’s equally valid to go back and do more research as it is to proceed into alpha. I’d be lying if I said I put a lot of effort into prototyping my design. I got carried away with the excitement of making the house, and was rushing to get into the actual build. I sketched out my design and then drew out the pieces I needed to construct it. On paper it all seemed like it would work, but fundamentally without actually prototyping it, I failed to understand the interaction between the elements. As I would find out later, my pieces didn’t fit together. Lesson number five: don’t jump from sketched to build. Rapid interactive prototyping is an efficient but important way to understand whether your design will work. User testing is an iterative process. It’s not something that can skipped or only be done once. The feedback you receive from users, whether it’s on wireframes, prototypes or a full build, offers crucial insight to ensure your design meets user needs. I didn’t do any for my poor gingerbread house. 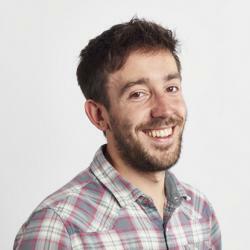 Lesson number six: do user testing, and do it more than once. The discovery and alpha phases were done. It was time to move into development. Blissfully ignorant old me was pumped and ready to build my grand design in dough! Almost instantly after starting, things began to fall apart, quite literally. First up, baking the dough. I had no rolling pin. I inventively made use of a roll of Clingfilm, but it was a nightmare. Clingfilm really sticks. Next challenge, no baking parchment, but I thought foil would be an appropriate substitute. As it transpired, it’s not. 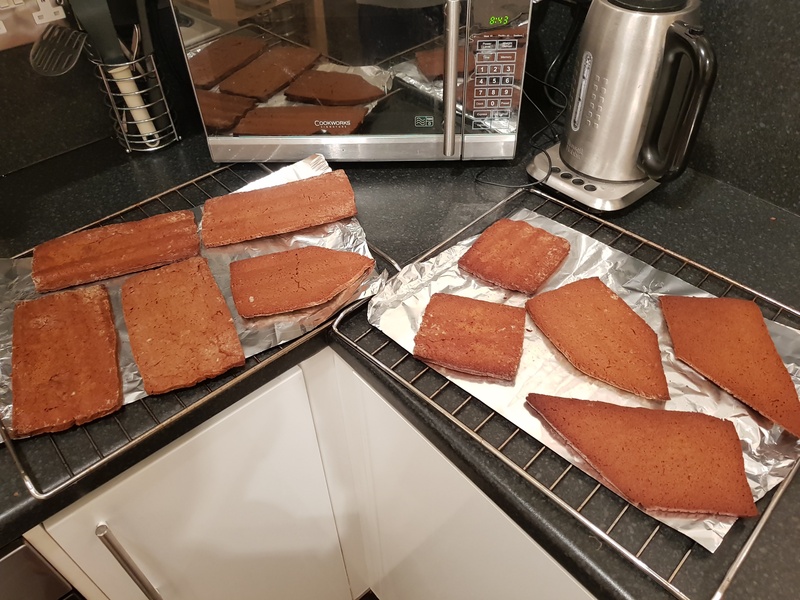 Unlike baking parchment which absorbs moisture and lets it evaporate, foil holds it all in, so the bottom of my gingerbread was soggy when it came out of the oven. On top of this, I didn’t put it on a baking tray, instead opting to put the foil directly on the shelves of the oven. When I took all the pieces out they had sunken through the gaps and I ended up with corrugated gingerbread. I decided to go to bed. The next evening, I attempted construction. Corrugated gingerbread makes assembling a structure surprisingly difficult. What makes it more difficult however, is when you haven’t planned it properly, the pieces don’t fit, and the whole thing collapses in a sticky icing mess of tears, anger and broken dreams. I went back to the drawing board on my design. I spent hours doing more research, finding out what people had struggled with, planning a new structure and building it with bits of cereal boxes. I spent the next two hours of my already tragic Wednesday evening cleaning the icing off of every piece, and then carving all of the pieces down with a bread knife until they resembled flat shapes with straight edges that fit together. 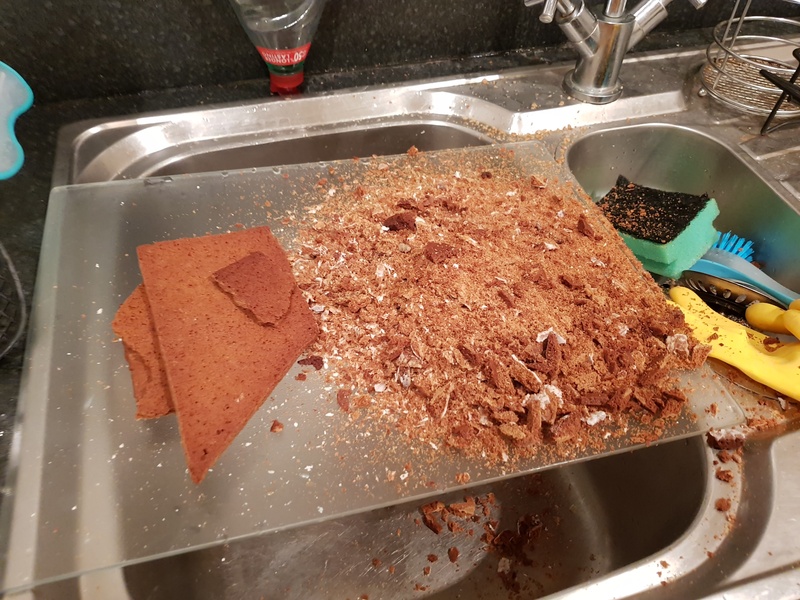 A lot of gingerbread was lost in the process. Eventually, after several evenings, a lot of heart break and huge amount of sweets, I finally finished the haunted gingerbread house. It’s not the quite grandiose vision I had in my mind when I started, yet it took me much longer than it should have done to get there. Lesson number seven: the time you save from skipping UX early on is spent tenfold on trying to do it further down the line. 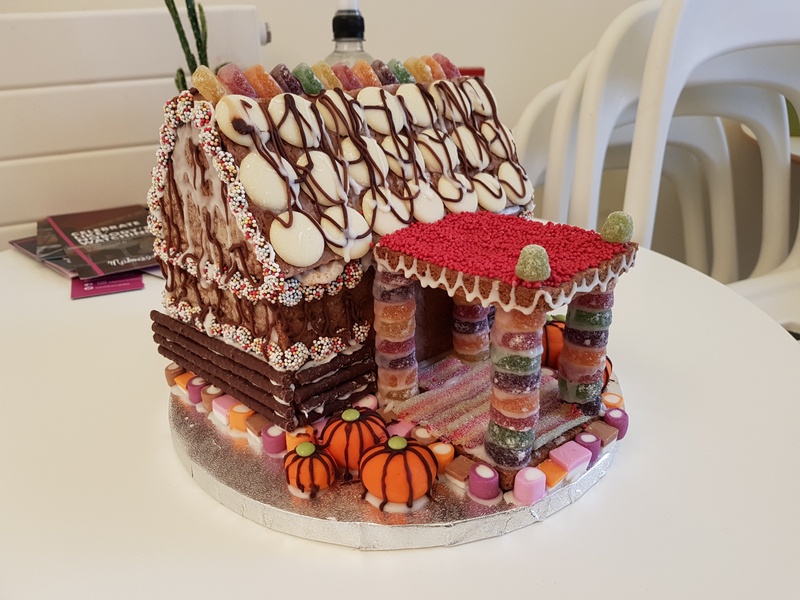 Next time I make a gingerbread house, I’m going to take my cue from how we work at Storm, and do my UX right.